You’ve heard of Crowd sourcing right? 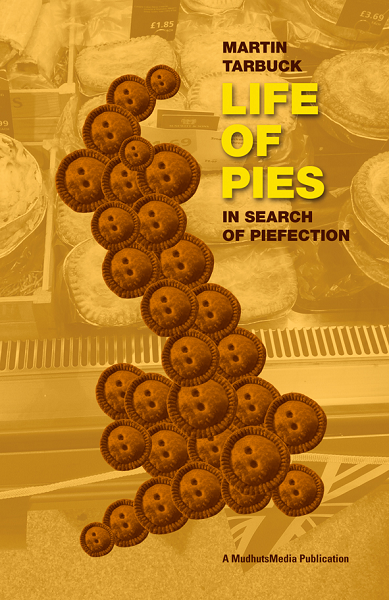 Well “Life of Pies” is currently at the printers and when it comes back, the author of it (me!) will get hit with a large invoice for printing it. I’m not made of money at the best of times, let alone when I’ve just spent two years driving 10,000 miles and around five grand travelling the country eating 400 pies. Over 100 wonderful people took up the offer to have their name/inscription in the back in return for buying in advance. Now that the book has gone to print that offer has now closed. However, the crowd funding concept is still running. Every person who buys a book between now and October helps to fund the cost of printing it and also receives a copy hot off the press.